Sanibel Island Lighthouse: First lighted in 1884, this historic lighthouse is on the eastern end of the island. A quiet beach, perfect for relaxing, surrounds it. You may even catch a glimpse of a dolphin swimming nearby. Bowman’s Beach: You’ll see why Bowman’s was named one of the top beaches in the world by U.S. News Travel when you arrive at this picturesque spot. Bring a picnic and spend the day combing for shells and bird watching along several miles of undeveloped beach. Shelling: People travel from all around the world to visit Sanibel Island for the shells. Travel & Leisure named it the #1 shelling beach in North America. The island lies East and West, unlike most islands which lie North and South, and the curved shape causes it to act like a shovel, scooping up shells from the Gulf of Mexico. 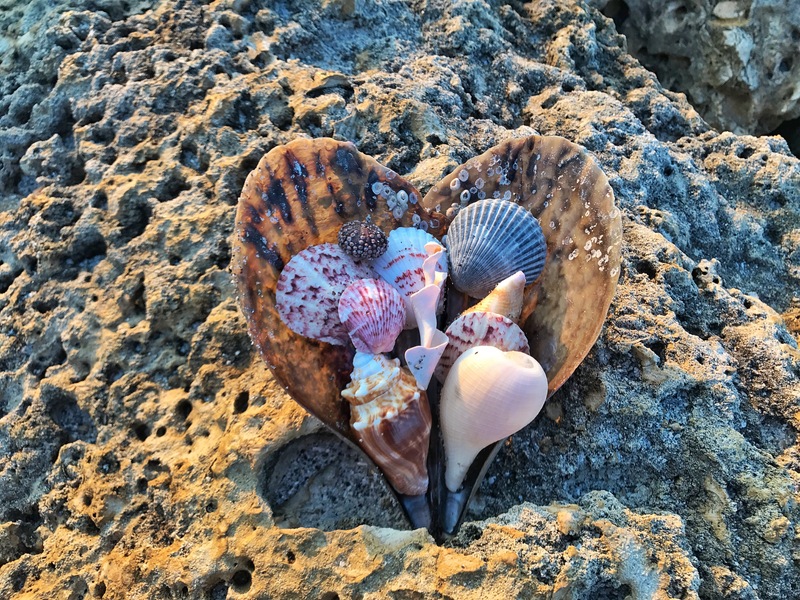 Check out iloveshelling.com for shelling tips and identification. Sanibel Island Farmers Market: More than 30 different vendors are included in this open air market every Sunday at City Hall. You can find fresh seafood, homemade goods, locally grown fruits and vegetables, tropical plants, and more. You’ll want to spend lots of time here chatting with the locals. J.N. Ding Darling National Wildlife Refuge: The number one spot for bird watching in North America with more than 245 migratory and residential species. It is the most visited refuge in the nation, with close to a million visitors annually. You can hike, bike, or drive through the area, which occupies half the entire island. Closed on Fridays. Bailey-Matthews Shell Museum: The only museum in the U.S. dedicated solely to shells and mollusks from all over the world. A staff marine biologist presents different live mollusks daily during their “Tank Talk”. Interactive learning displays are perfect for kids. Dolphin and Manatee sightings: Sanibel Island is teeming with wildlife and these creatures are no exception. I saw both during my three day visit to the area and even had the special privilege of a dolphin swimming up to me while kayaking. The are not shy and love to show off by jumping and flipping in the wake of a passing boat. The Mad Hatter: A Gulf-front restaurant with whimsical Alice and Wonderland themed decor is the perfect spot for any foodie. World class fine dining with an ever changing menu you don’t want to miss. Outdoor fun: Sanibel provides an abundance of outdoor activities to enjoy during your visit, including biking,fishing,kayaking and golf. That Island Feeling: Sanibel Island is unlike any other place in Florida. The geography, abundant wildlife, shells, and undeveloped areas make it stand out. Visit and do it all or lay back and do absolutely nothing. Either way you will leave with a renewed sense of peace and tranquility. Leave a comment if you’ve visited Sanibel Island and let me know what you enjoyed most about the area! Check out more photos of my trip below. Hi! I was curious what app or program you use to animate your images? The moving skies are so captivating. Love your work. Thank you! I have been going to sanibel for the past 4 years. Excitement starts at first sight of the causeway, the weather, sunsets/sunrise, beaches, food , animal life, shelling all add to a vacation/adventure that add a calming quality that is much needed in our fast paced life. This was my first trip to the area. I will definitely be going back! Was just there last week. It was absolutely beautiful. Love Lighthouse Beach the best. Went to the Bubble Room for lunch.. excellent.. went to the Island Cow also.. good times were had.. saw my first wild Flamingo at the Darling tour. Very excited to bring all the Grandkids back next year. Sanibel is beautiful and inviting. Love the slowed downed pace. Good food. Amazing shelling. Can’t wait to visit in July! Go to Jerry’s. Great little grocery store with fresh, great priced donuts!! Also love the fun bird friends that greet you with a Hello or whistle!